Prahost gives you complete control over the products and services you have manage your entire hosting infrastructure from us. PraHost Client Portal is an easy-to-use, web-based service that lets you manage your entire hosting infrastructure via one single interface. It gives you complete control over the products and services you have purchased from us, and gives you total access to your account information. Controlling your Dedicated or Bare Metal server can be done using our client area. The features in the services pages enable you to view the details of your servers, reboot them, view bandwidth usage, set threshold notifications, reinstall with your preferred operating system or control panel, and much more. 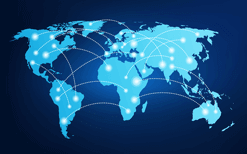 Controlling Bare Metal and Dedicated servers with PraHost. From the Server Details Tab, you can view the Technical details like Server hostname, Primary / additional IPs, Server boot status. hardware information and the initial Credentials of your Dedicated & Bare Metal Servers. You can reboot your server in rescue mode if your operating system fails to boot. You can then try to resolve the issue (like reset Windows admin password, Linux root password or change firewall rules) or back-up your data before initiating a re-installation. 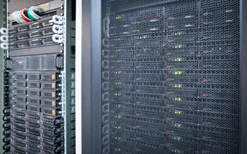 As PraHost regarding the Dedicated and Bare Metal servers we deliver IaaS. Through the actions panel you are able to perform (re)installations on those servers in different ways. During installation all data on your server will be wiped, and cannot be recovered. If you want to save any of the data please backup before installing. Powercycle will immediately disconnect power from the server and power up the server again. Use powercycle only when you have no access to the server to perform a cold reboot. PraHost cannot be held accountable for any data loss during a server powercycle, A powercycle does not shut down applications gracefully and can result in data loss. 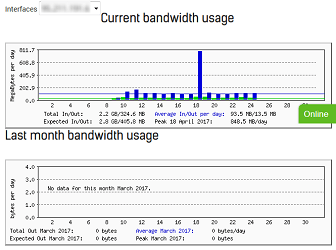 Under network information you can view datagraphs with in- and outgoing bandwith/datatraffic for current and last month. The configuration of PTR resource records to identify servers by reverse query is strictly an optional part of the DNS standard implementation.